In Evil Men by James Dawes takes on the mission of figuring out what makes people do evil things, and how they live afterward, while trying to be fair to both the victims and the perpetrators. He sets himself on the path of exploring paradoxes as they surround evil and the problems reporting it, beginning with the admission that “we are morally obligated to represent trauma, but we are morally obligated not to.” In this way he opens up on the perpetual struggle of telling a story without perpetuating the trauma. Dawes, however, draws a majority of his testimony of “evil” from Japanese veterans. Dawes, being an American, enters his interviews as an outsider. Not able to speak Japanese himself, he relies upon his interpreters to recount the stories from his interviewees. Dawes admits the fallacies of conducting his interviews in this way; his only way of accessing this interview is by trusting his interpreters. He describes a system in which his interviews are given to several different interpreters in order double check their interpretations. He admits that often his interpreters in the interviews often changed his questions, or softened the language of both the questions and the responses. In this way, Dawes sets himself up as the outsider. He commiserates with scholars who warn against stories of struggle becoming a nation’s public identity, and yet his depiction of East Asian countries sings a singular note. Dawes repeatedly struggles with the burden of trying to understand a person behind an atrocity, though they are strangers. Dawes cannot comprehend the social and cultural pressures experienced by those he has interviewed. Not only must he traverse a language barrier, but a distance between lives lived in present-time Minnesota, and Japan decades in the past. Given the extreme difficulty of understanding evil and the pressures and circumstances that lead to atrocities, Dawes strategically dissects his topic. He tackles the questions of “how do people come to commit atrocities?” and “how to people live with themselves after committing atrocities?” as academic issues. He uses a vast variety of sources and case studies to provide answers and evidence. The book, as a result, begins to feel like an academic study. Structure-wise he divides his time between academic research and personal accounts and interviews. Though it is often difficult to catch when Dawes switches between first-person narratives, and first person accounts by his interviewees, the result is an almost overwhelming amount of evidence. Peppered with quotes from historians such as Christopher Browning and James Waller, there is a citation after almost every line. Dawes takes from all sections of history, from ancient to contemporary: the Athenian slaughter at the sack of Carthage and the prisoner of war camps of the 20th century. As a student at a liberal arts university, such writing is extremely familiar, and sometimes even cliché. While it is rare to find such honest and intimate interviews, the use of Milgrim’s experiments and Zimbardo’s prison study begins to feel like low-hanging fruit, the easy connections. With the burden of such a difficult subject, it is easy and understandable to see the same musings within the same conversation. Dawes straddles the line between a conversation that has been going on for centuries and new understandings and stories. 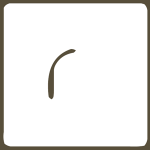 While it is difficult to judge writing based on such a troubling topic, the real test is the potential for further development. 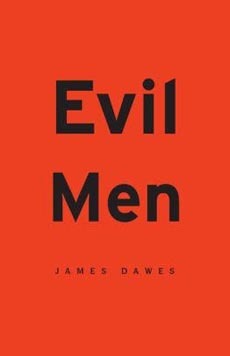 Dawes’ Evil Men proves to be both a familiar and a perplexing example of writing on the darker side of humanity. Belle Allan studies creative nonfiction and English at Hamline University. She has worked as a web-editing intern in Hamline’s marketing communications office for three years. Belle hopes to combine her burgeoning web know-how with her longtime love of writing and editing in her career after Hamline.